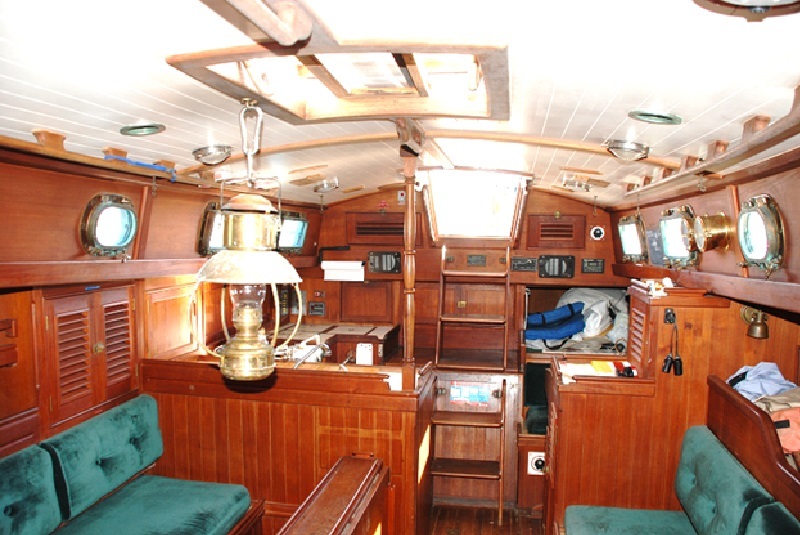 ** Price Reduced ** $45,000. 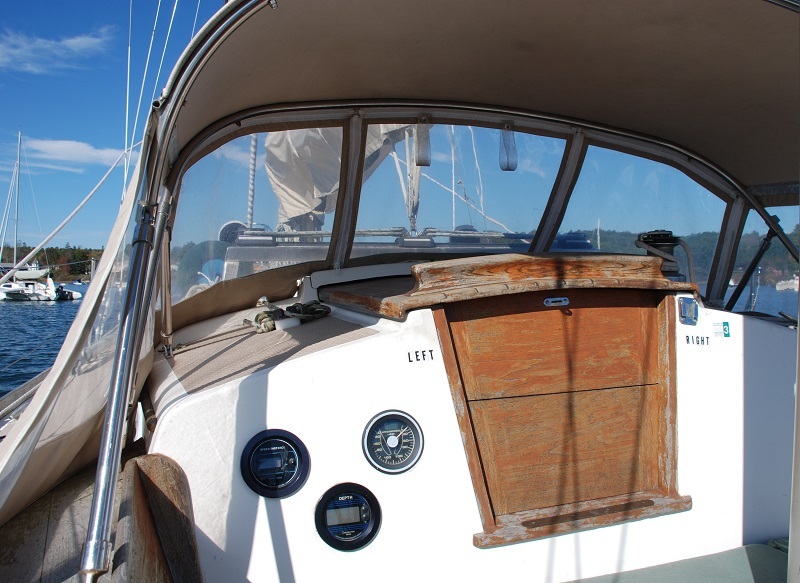 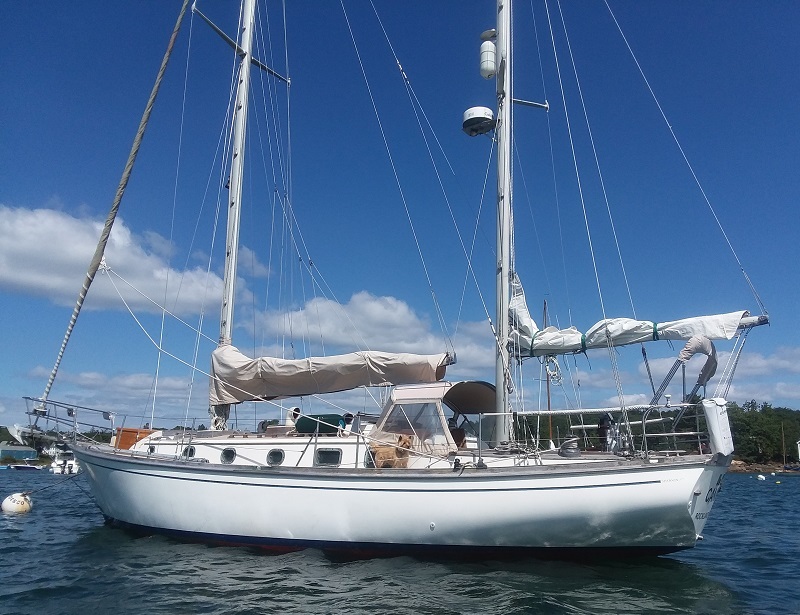 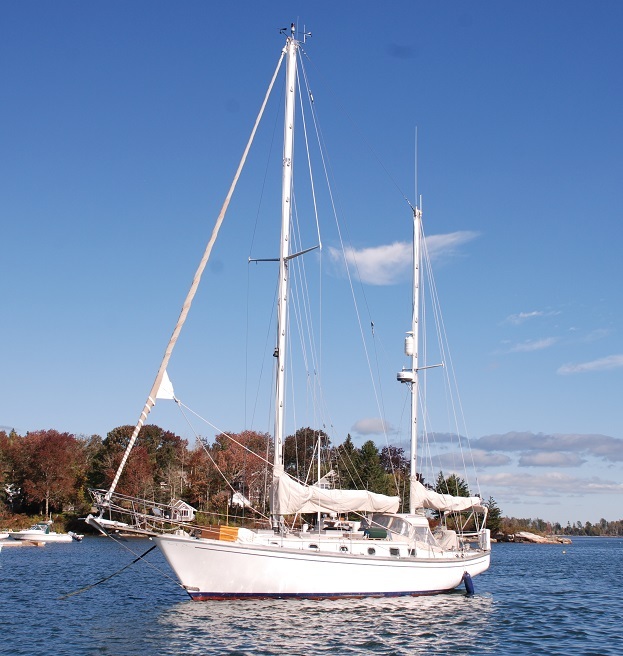 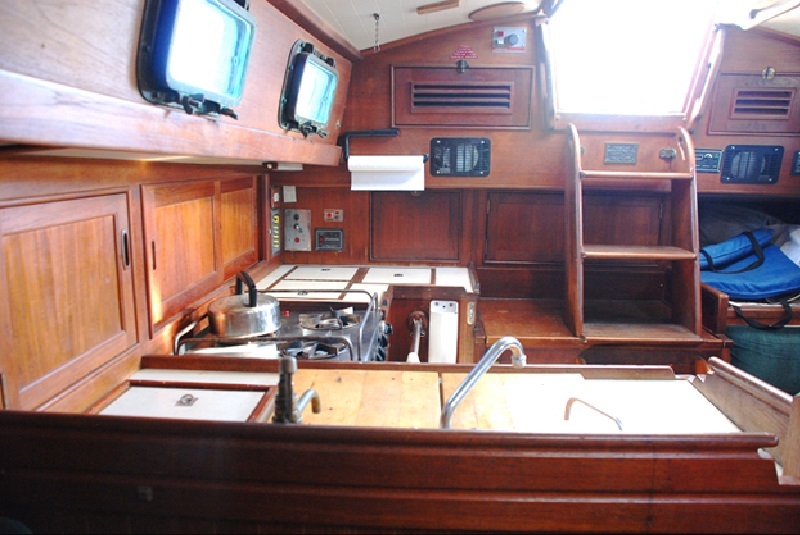 Canna is fine example of a Shannon 38 Ketch and has proven coastal cruising experience with her current owners. 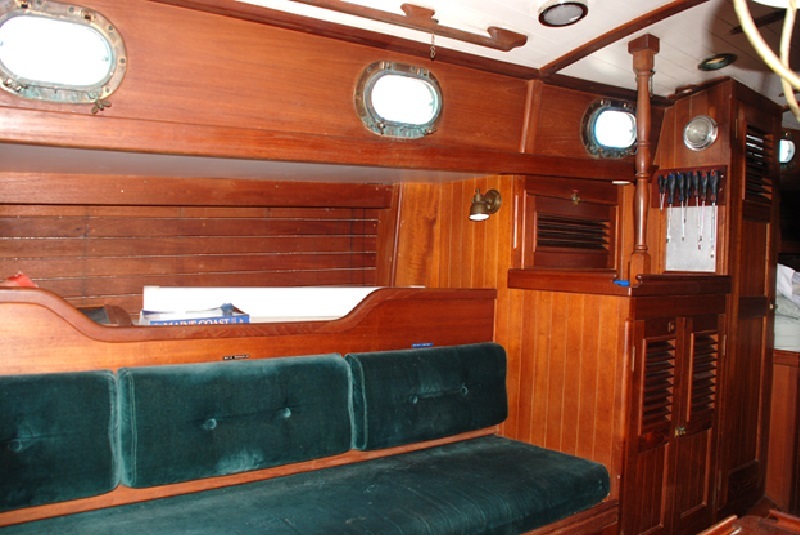 With her solid fiberglass hull, beautiful teak interior, brass port lights, expansive salon, full galley, full head and sleeping accommodations for six she is ready for cruising – with or without guests. 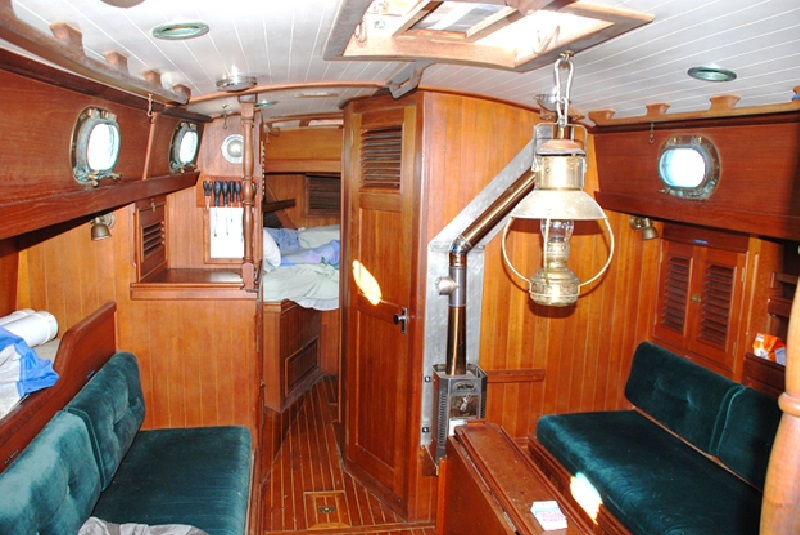 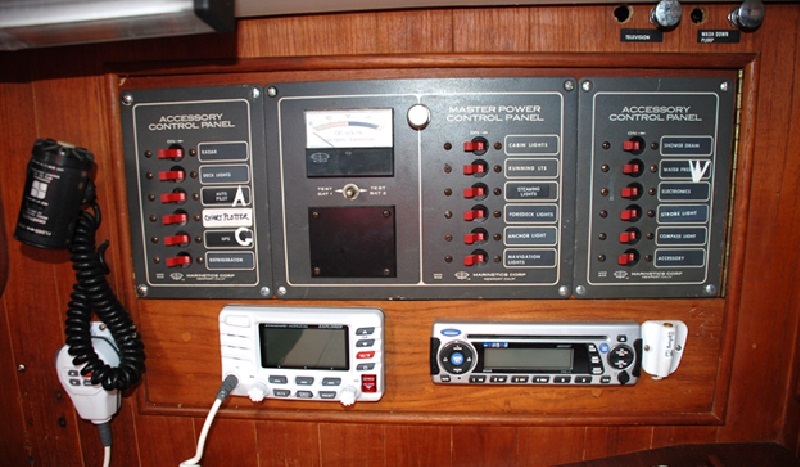 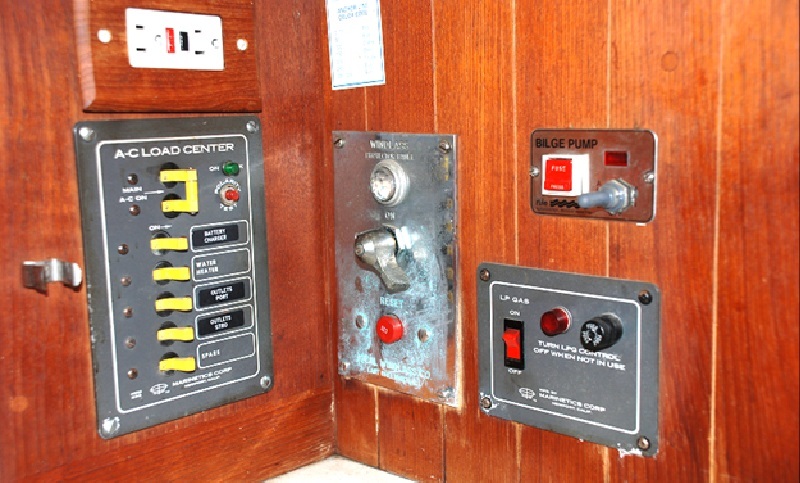 She was repowered in 2004 with a Westerbeke 44B Four diesel engine. 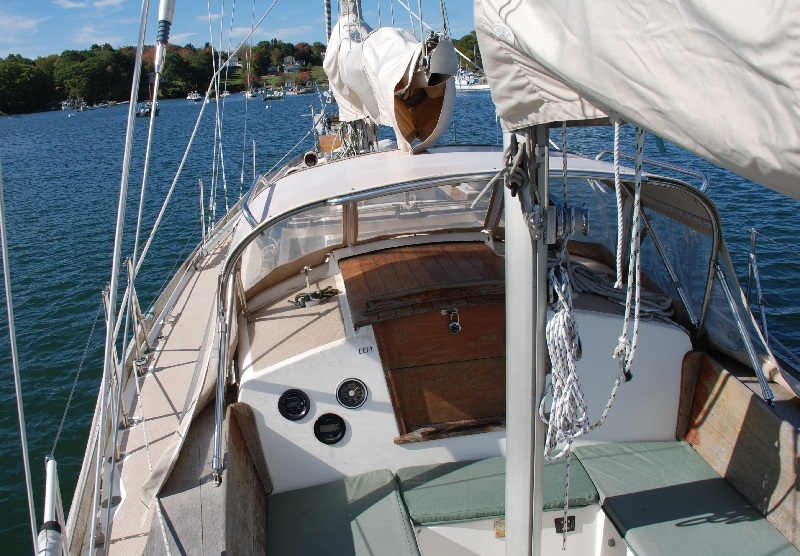 Her sails are in good condition. 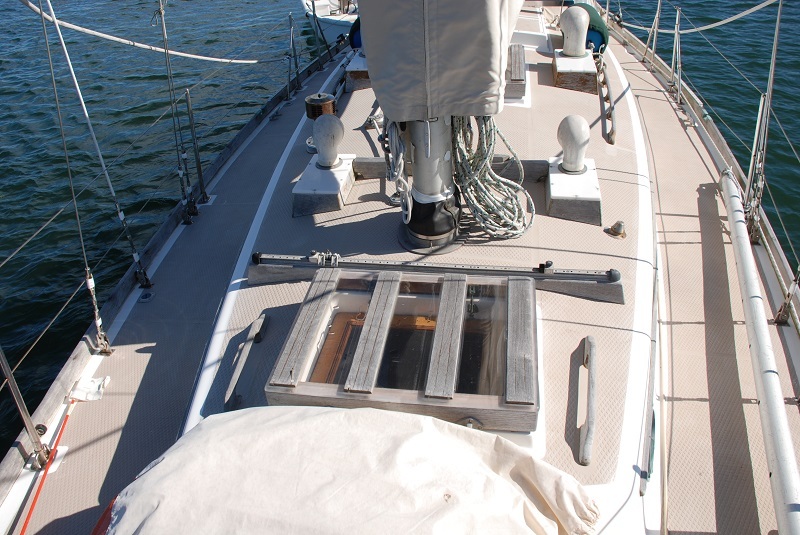 Her white fiberglass hull is accented with a blue boot stripe. 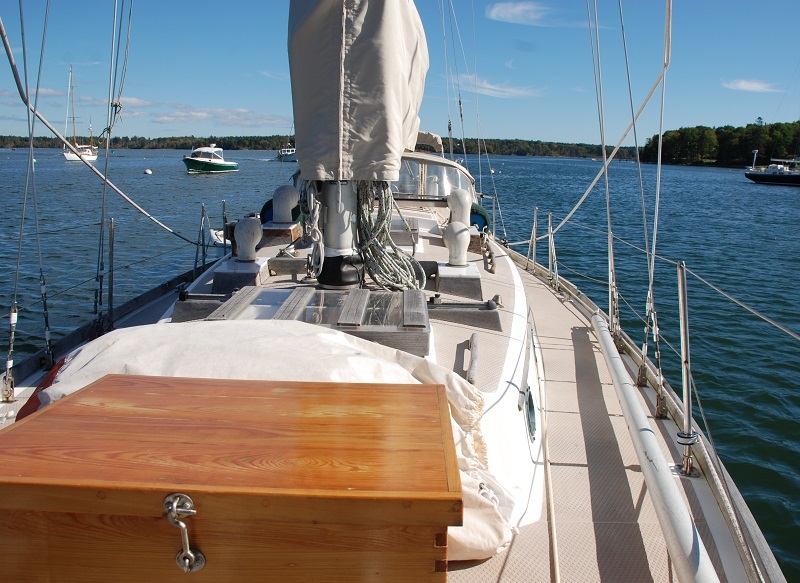 All exterior teak is naturally weathered. 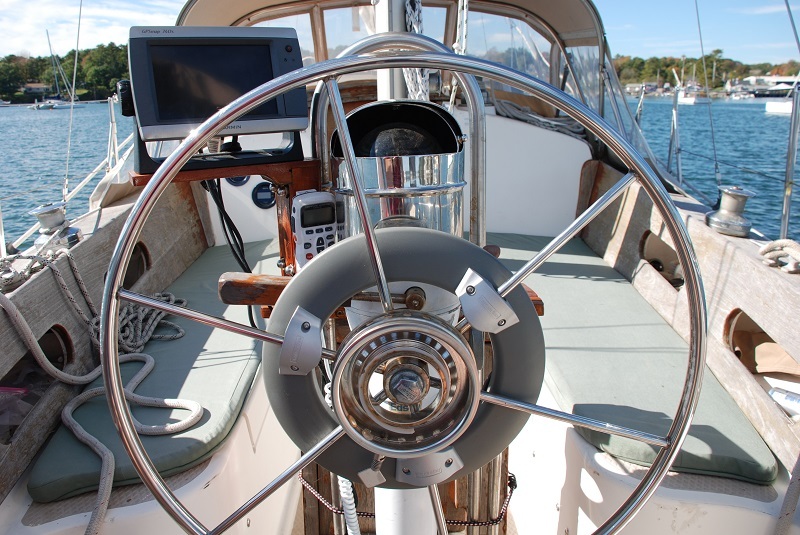 View Canna’s 2016 Survey. 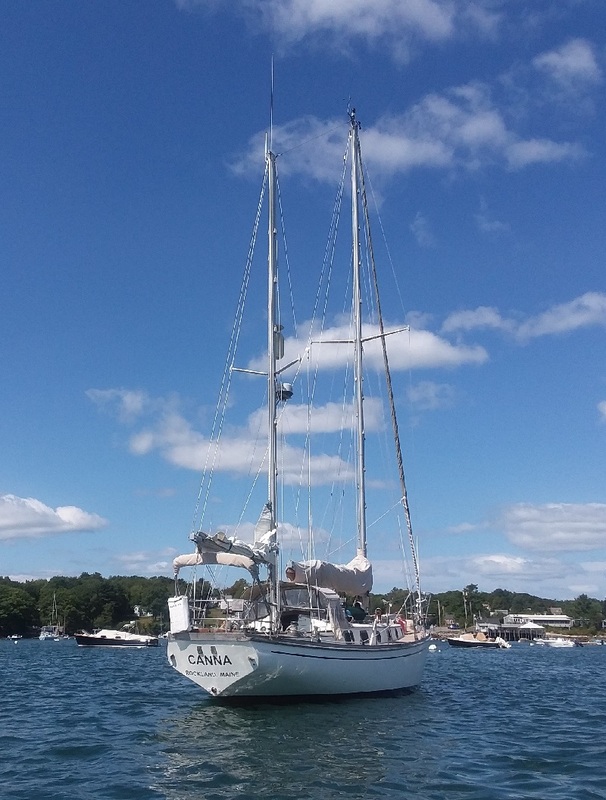 Canna is in Mid-Coast Maine and may be viewed by appointment. 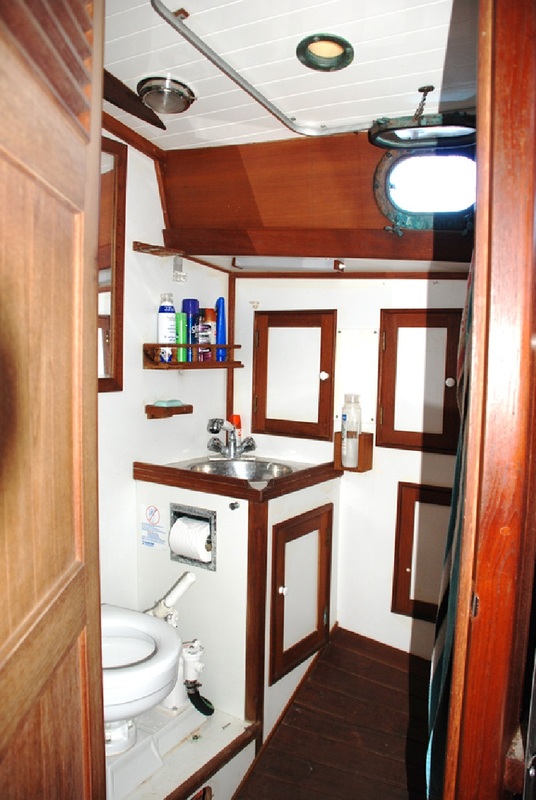 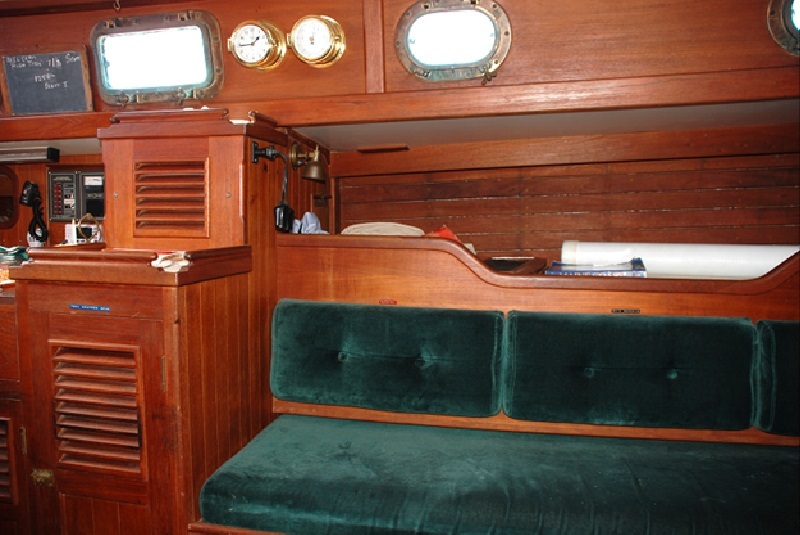 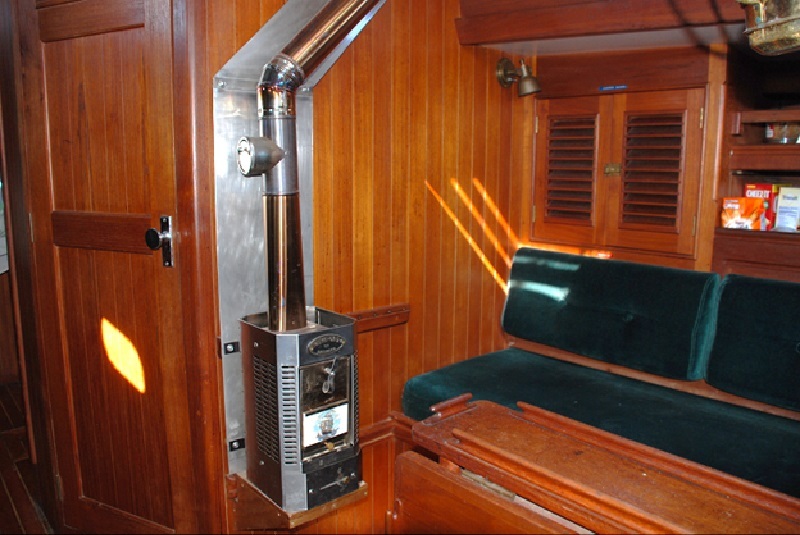 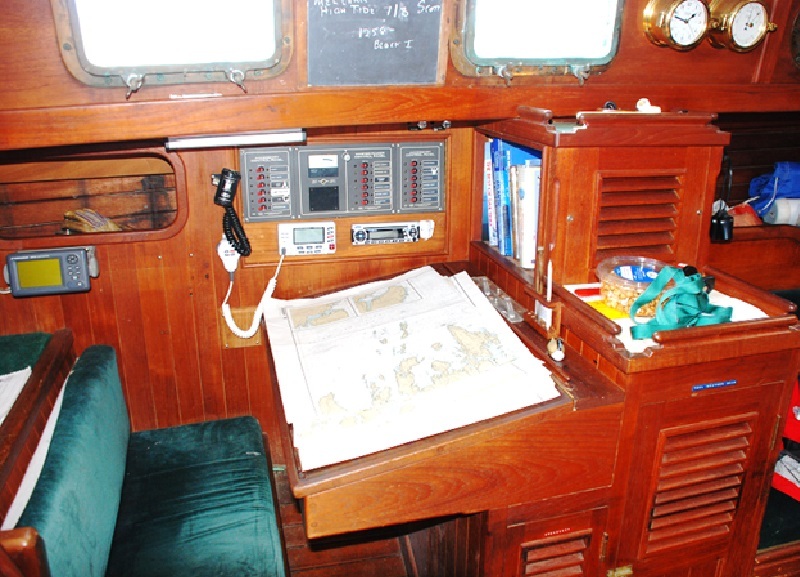 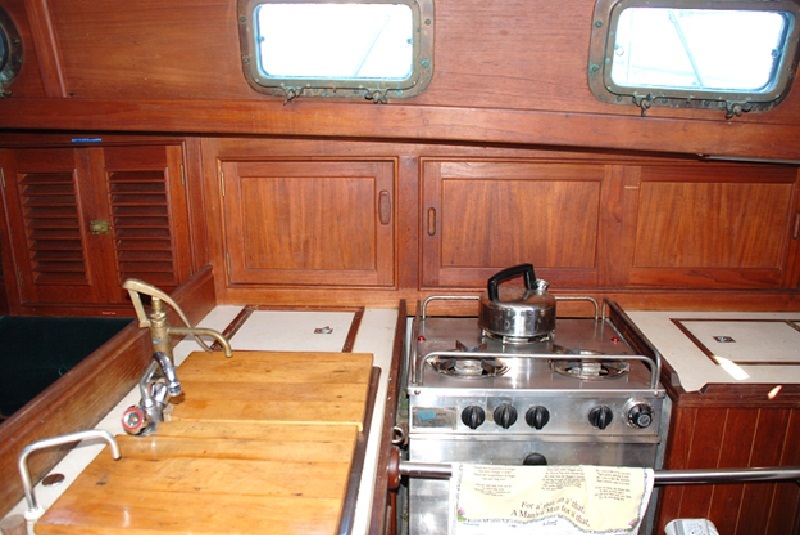 V-berth, quarterberth, plus salon benches for sleeping accommodations. 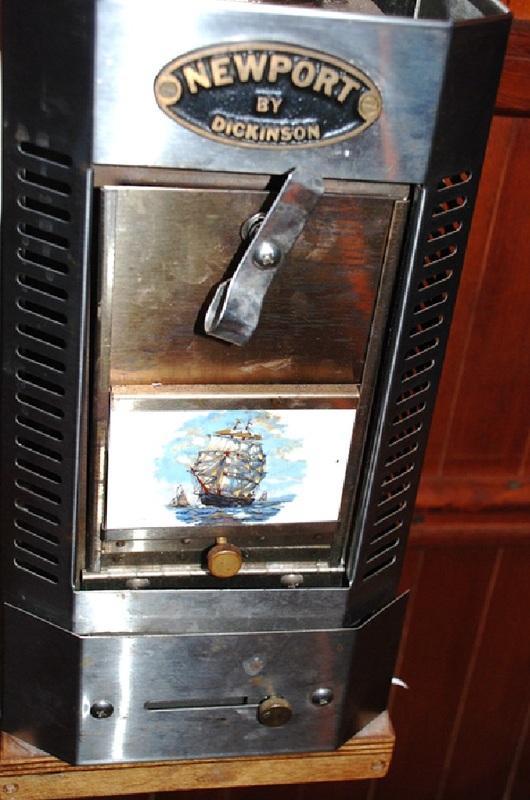 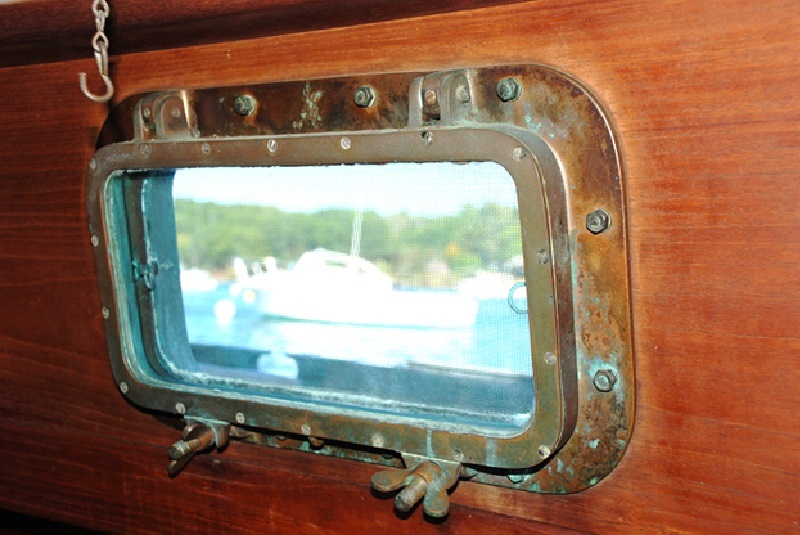 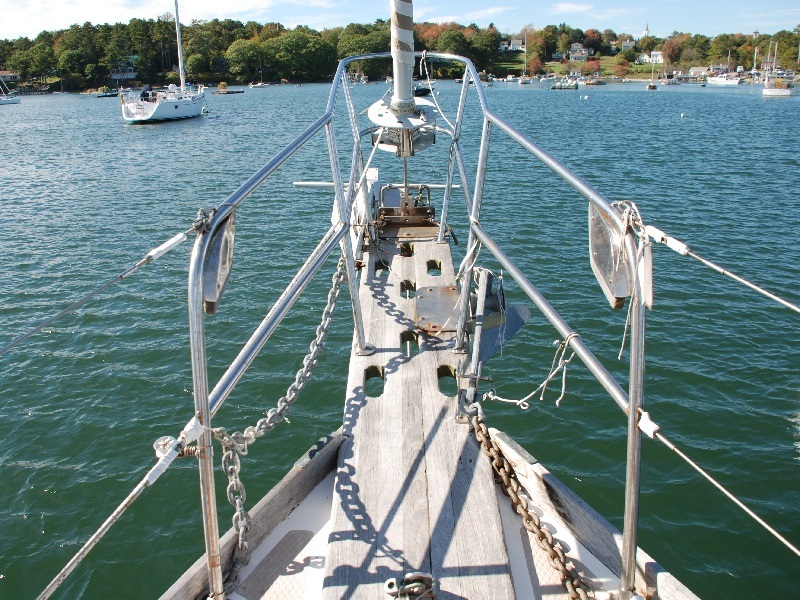 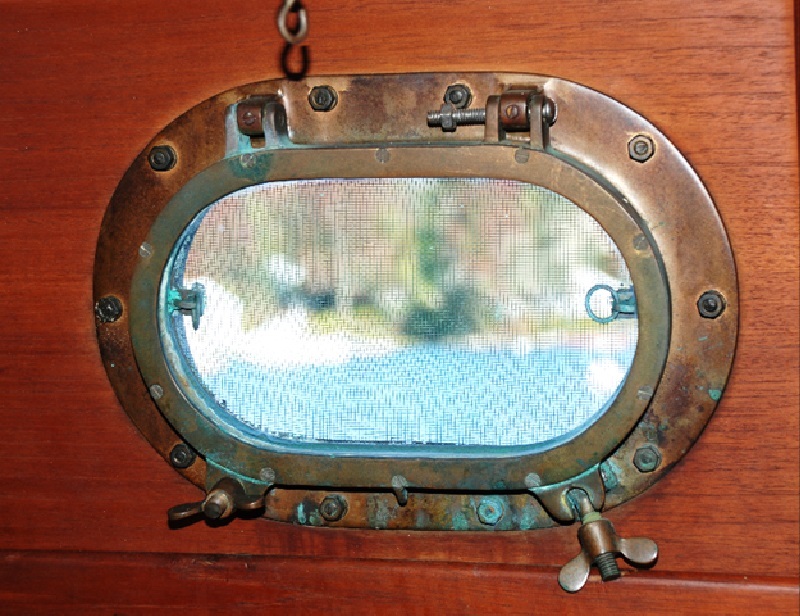 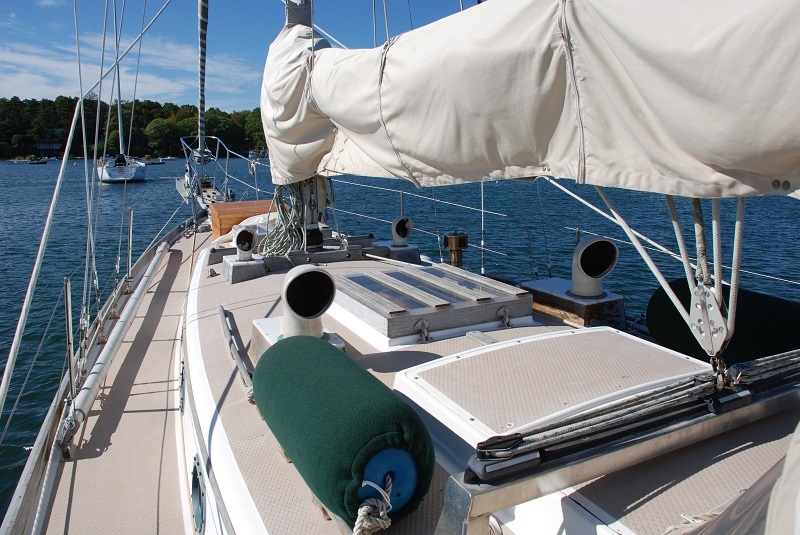 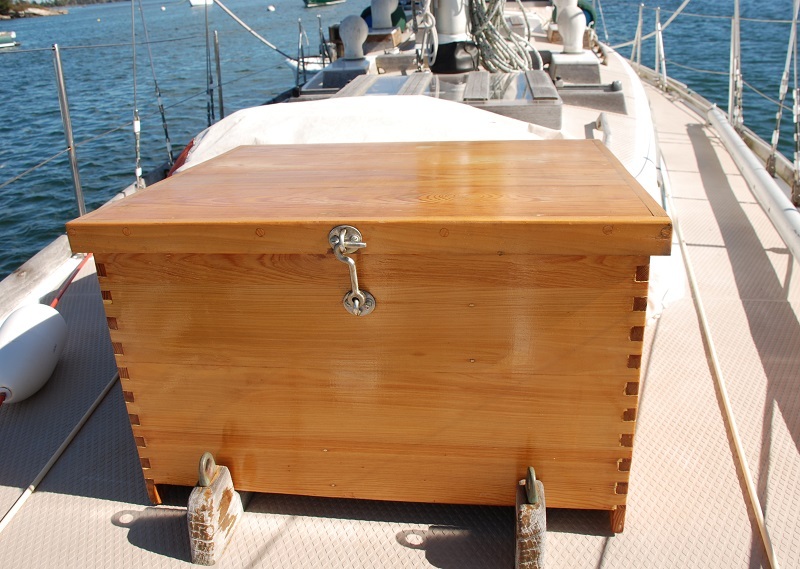 Anchors, chain, fenders, life sling, dock lines, wooden deck box, life jackets are included.